DONETSK, July 22./ITAR-TASS/. The Health Ministry of the self-proclaimed Donetsk People’s Republic (DNR) said on Tuesday that four people had been killed and as many wounded as a result of a Ukrainian army attack on Donetsk’s residential quarters. “All of them are civilian persons,” the ministry said. 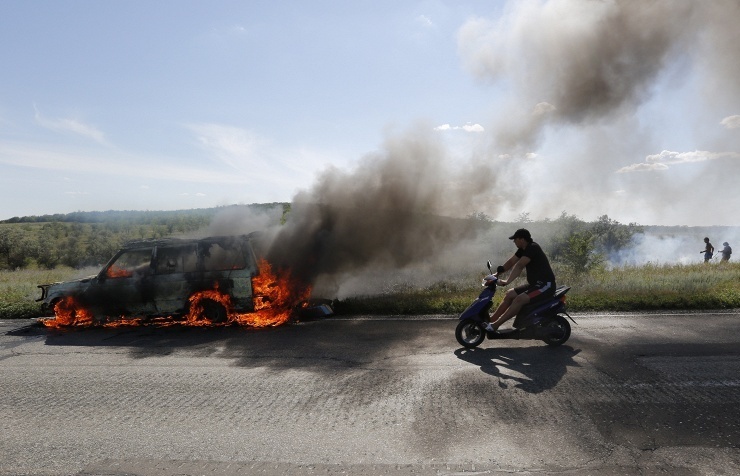 On Monday, July 21, the Ukrainian army attacked the city’s railway terminal and the nearby residential quarters. “The armed forces of the Donetsk People’s Republic repelled the offensive. Railway traffic in Donetsk has resumed,” the DNR press service said. The Health Ministry also said that the city’s Hospital No. 19 had been temporarily closed and all personnel and patients transferred to another hospital away from the combat zone.